The greatest asset in a business is its workforce. Better workforce helps businesses achieve their vision. Today, every company is in need of people with specialized skill sets and relevant experience to get the job done. We have access to global resources, which assists us in searching workforce that fits best into the requirement and thus helps your organization maximize the efficiency and productivity. We rely on the expertise of our specialized consultants and recruitment experts for benchmarking the requirements of the clients and sourcing relevant profiles. 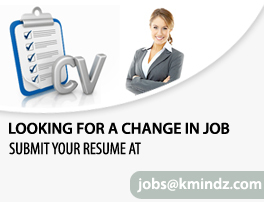 We, at KMindz, are committed to providing our clients with innovative and flexible staffing solutions to meet the challenges of today's changing business environment and organization's specific needs. Our consultants leverage the vast amount of data we gain through our outsourcing services and original research to develop unique solutions-backed by facts, not hunches-to your organization's challenges. We specializes in providing comprehensive HR consulting service to our clients. We facilitate our client in understanding, developing, implementing and quantifying the effectiveness of their human resource programs and policies. Recruitment Consulting is all about discovering the right talent at the right time, capable of staying engaged to your organization. It is about building enduring relationships, with all stakeholders - the Talent-sourcing Organization and the Job seeking professional. It's about investing time in relationships, and also investing capital in high-technology infrastructure. We aimed at establishing systems in an organization, which enables the creation of a climate of transparency that breeds trust in the minds of employee. Where possible, we emphasize on integrated HR solutions, thereby helping our clients to minimize costs & other problems related to "stand alone consultancy practices". 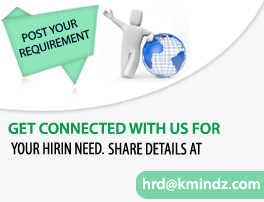 Our strengths in HR consultancy is not merely the domain knowledge and year of experience of our consultants, but our expertise as an organization in developing "HR Product" which require a deep understanding of the quality aspect in HR processes and the best HR Practices available across different type of organizations. This makes our consultant learn continuously and add value to the organization whom they work for. We utilize "insight" to provide a novel perspective, to listen and identify strengths & development opportunities (using proven techniques & tools). We "Innovate" to help your organization introduce the latest approaches to manage human resources; we leverage the vale of research through close relationship with academic and management institutions. We posses the "integrity" to remain ethical, honest and trusted HR Advisers who protect the confidentially of the client's processes. Our "impact" is through creating value for the money spent by our client, always exceeding their expectations, and delivering tangible results to increase the effectiveness of the organizations who prefer to engage our services.